…using animated .gifs. 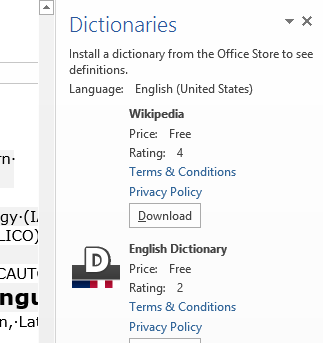 Note the update for Outlook (desktop) users at the bottom. (Slower? Click the Links. )You can not only book lrcroomcoed434@uncc.edu like this, but any resource listed here.If you need the classroom repeatedly or other advanced features, read on. 0.25sec,0.5sec, 0.75sec, 1sec, , 2sec, 3sec, 4sec, 5sec, 6sec, 7sec, 8sec, 9sec, 10sec. 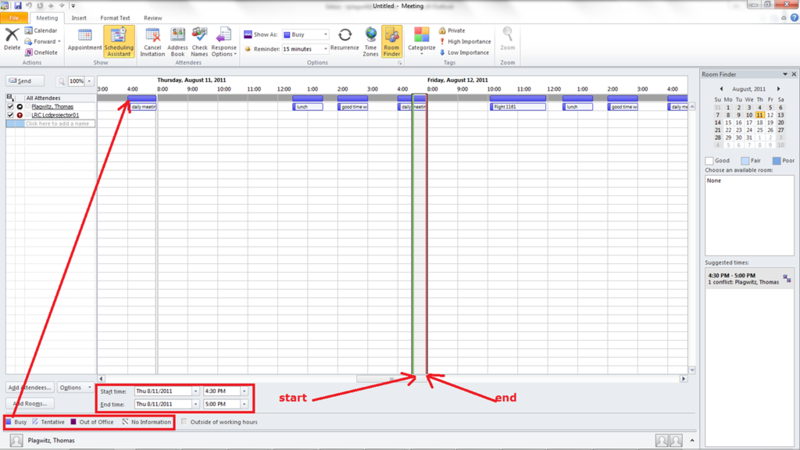 Both book and cancel booking: Compact: 0.25sec,0.5sec, 0.75sec, 1sec, , 2sec, 3sec, 4sec, 5sec, 6sec, 7sec, 8sec, 9sec, 10sec. 1.5sec Or including unmarked frames: 0.25sec, 0.5sec, 0.75sec, 1sec, 1.5sec, 2sec, 3sec, 4sec, 5sec, 6sec, 7sec, 8sec, 9sec, 10sec. No need to use them all: The first one you notice suffices. But we hope 1 of the 10 will work for you. 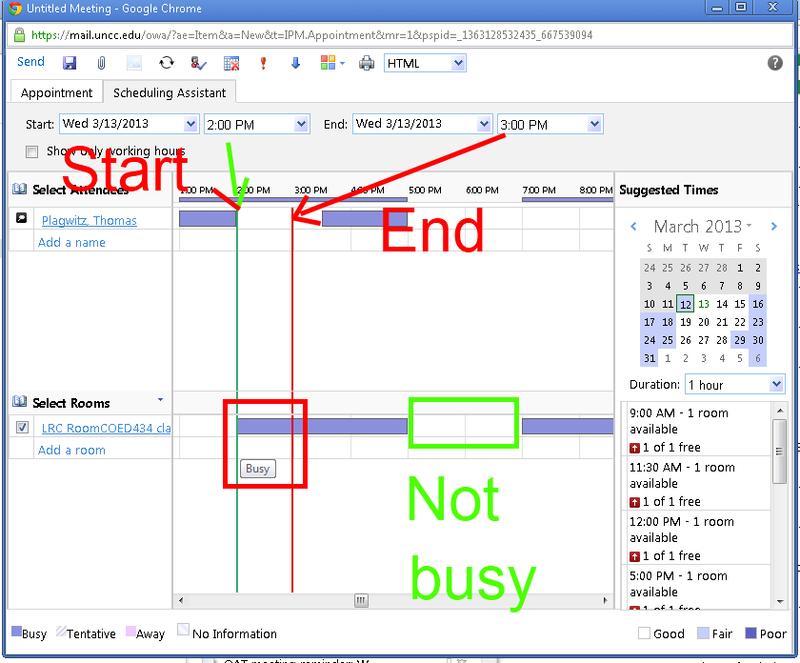 Starting (that is why it is in explained in How to book LRC resources – explained in one screenshot: “Book me!”versus “Leave me alone!”) with the tab: “scheduling assistant” in your “meeting request” itself before you try to book the room: It tells you when the room is free (white or blank along the timeline). Don’t try to book the room when the room’s timeline is not blank and the hovering tool tip tells you “Busy”: It is futile. Never mind if you miss the toast: it just notified you that the automatic response from the room attendant went into your inbox. You can see it on top there (here I unfolded it). It tells you in the subject and in bold in the body whether your booking was accepted or denied. If you have questions about these messages, you can forward them with your comment like any other email (no point in responding though). 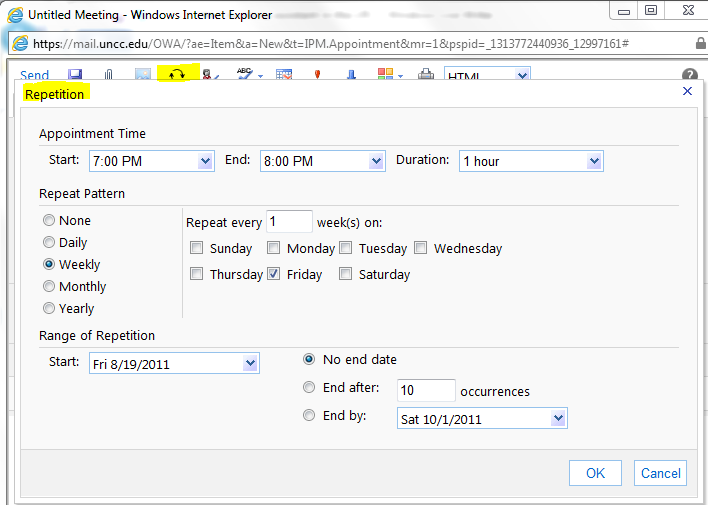 This does NOT remove the appointment from your own NINERRMAIL calendar (makes sense if you think about it: You still have your appointment (exam etc. ), just the room can not be part of it). You do not even need to visit the LRC home page: you have privileged access to the the LRC hours end events calendar from your NINERMAIL, if you subscribe to it there (shortcut: start @ #3 armed with this link:http://mail.uncc.edu/owa/calendar/LRCRoomCOED434@uncc.edu/Calendar/calendar.ics). You can do all this under guidance at the LRC reception desk: We try to have 1-3 name-tagged student assistants there at all times during LRC opening hours, 8 eyes see more than 2. One day after your booking, you will also be able to see your reservation (if successful!) on the : . If in doubt, do all this well before your class takes place. 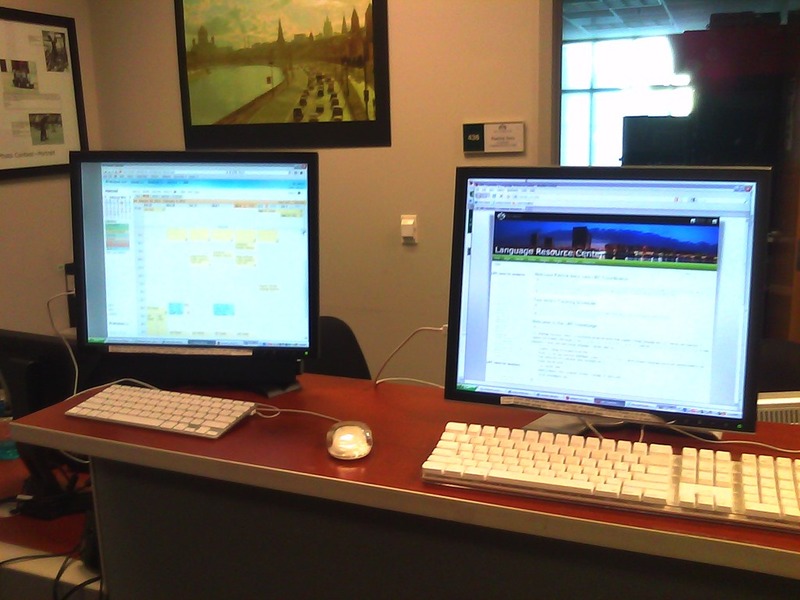 Take a training: ITS supports NINERMAIL and CTL teaches Taming your inbox. Bonus: In the unfortunate event of a “Denied” response to your booking request, if it is not just an AM/PM error or similar which you can easily correct, the response includes information on the prior reservation, organizer, and email address. 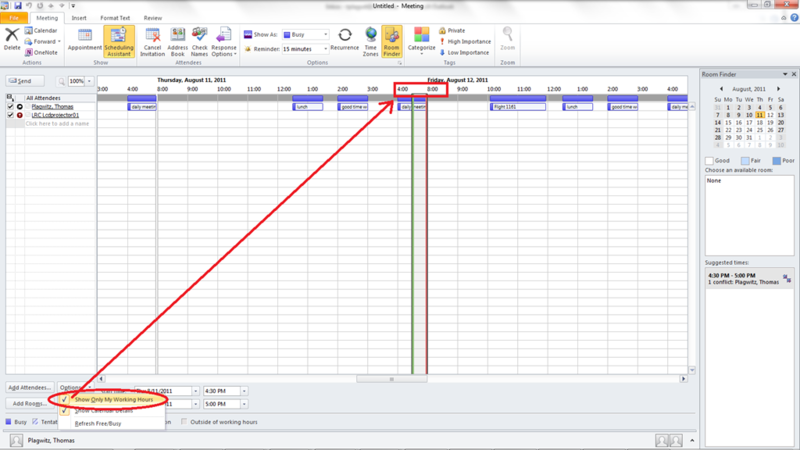 Why not email the colleague (click on the underlined name of the colleague that booked the LRC before you) from right here and see whether you both can rearrange? Remember: Sharing is caring. 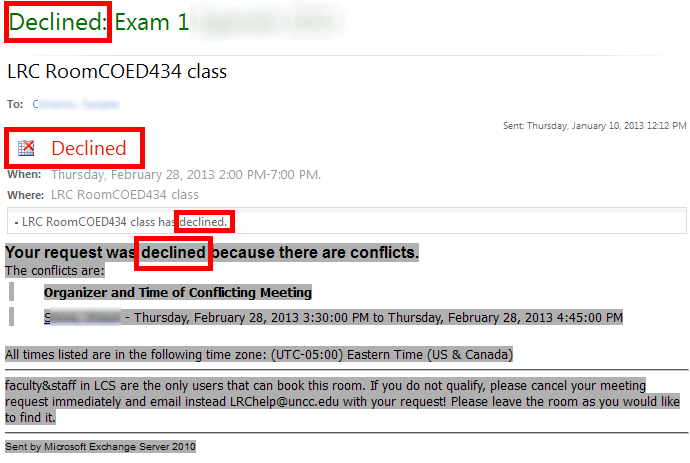 There is a departmental initiative to reschedule entire classes that might conflict over the use of the LRC. Talk to the departmental office well before the the prior term ends (i.e. before next term’s class schedules are finalized). Still confused? At this point, talk to LRC permanent staff who will go through above list with you. Please understand that the LRC staff cannot cancel other faculty’s bookings, we only extended the availability and bookability of the LRC which is readily available and easily bookable at many times during each term. … in Spring 2013 to Student Advising and Central Tutoring, from the LRC tutoring, staffing and room and equipment booking since Fall 2011. Glad to see that we get more benefit out of this new tool. 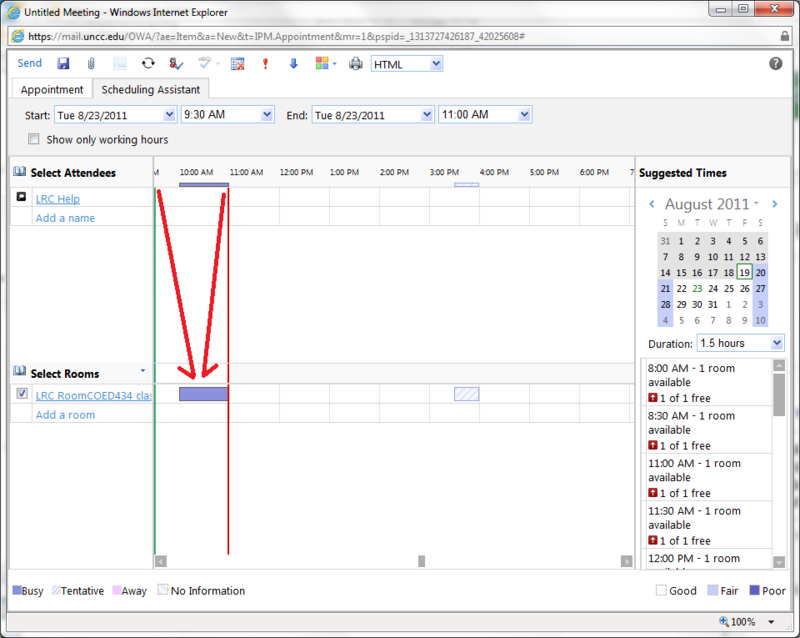 Why do some room calendars refuse to synch in Outlook? while other room calendars do not (e.g. LRCRoomCOED433b). The offending calendars can be loaded from internet (being published – with limited details, so that is not a real workaround): e.g. “ITL up t to 2201”. 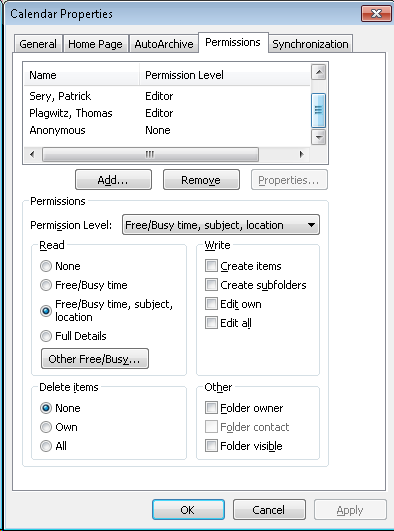 In the Properties/ Permissions, I can see that for some calendars that synch, I am not listed as Editor (presumably being more than that? Owner?) – but not all calendars that synch (e.g. LRCRoomCOED433b) have this as a requirement. 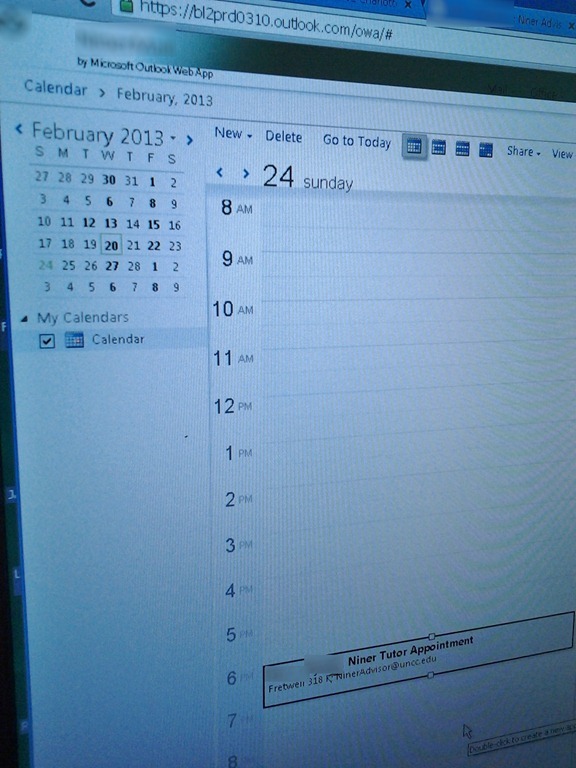 Is there maybe a limit of how many calendars can be loaded in Outlook at any given time? 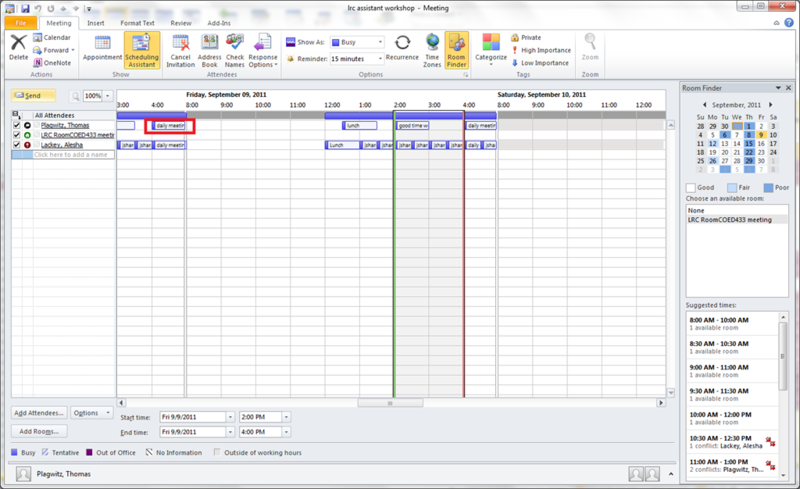 Copy/paste meetings with resource mailboxes in Outlook on MS-Exchange 2010? 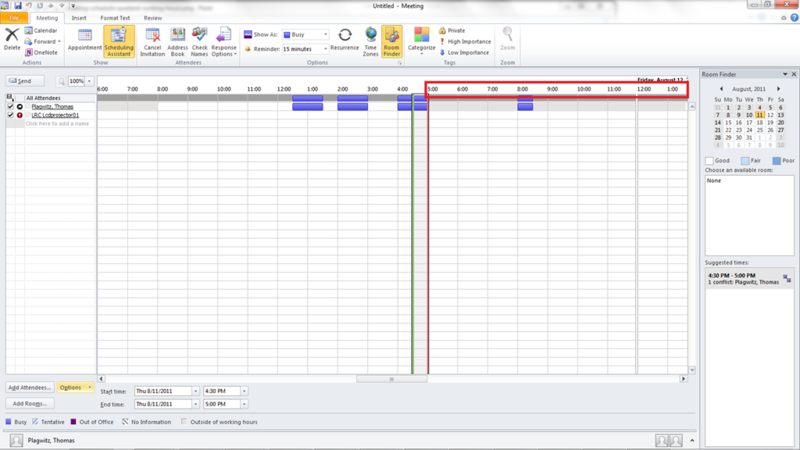 The scheduling assistant lets you find a common free time for all the (resource and human) participants of your meeting request. 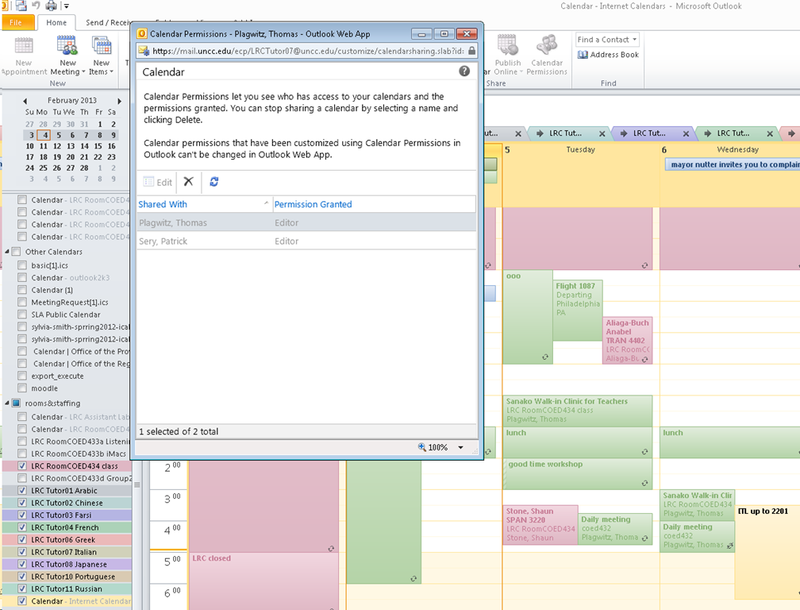 The scheduling assistant shows you start/end meeting time and free/busy information. You may also be able to see the meeting subjects. 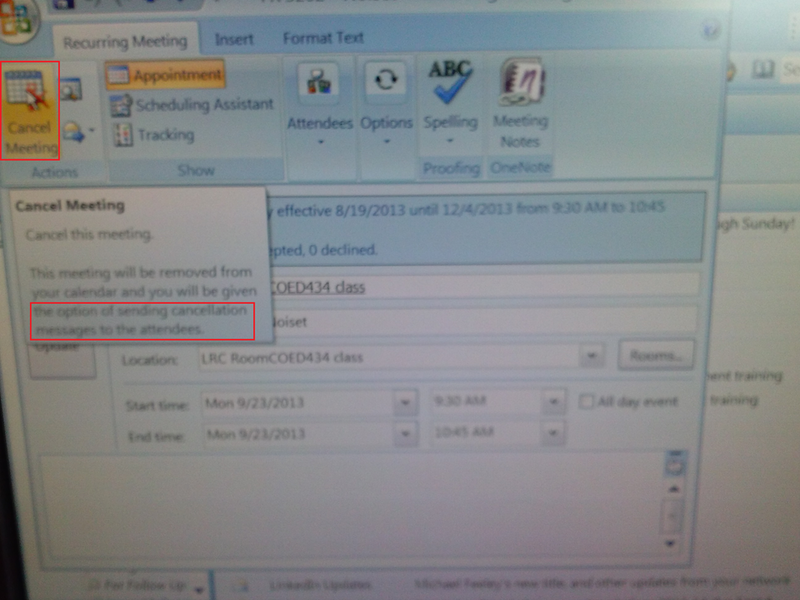 You can spot scheduling conflicts in advance, instead of sending a meeting request that will have to be denied.